As fiber optics plays more and more important role in modern telecommunication and CATV networks, the requirements to the construction, test and maintenance of fiber optics links also become more prominent. 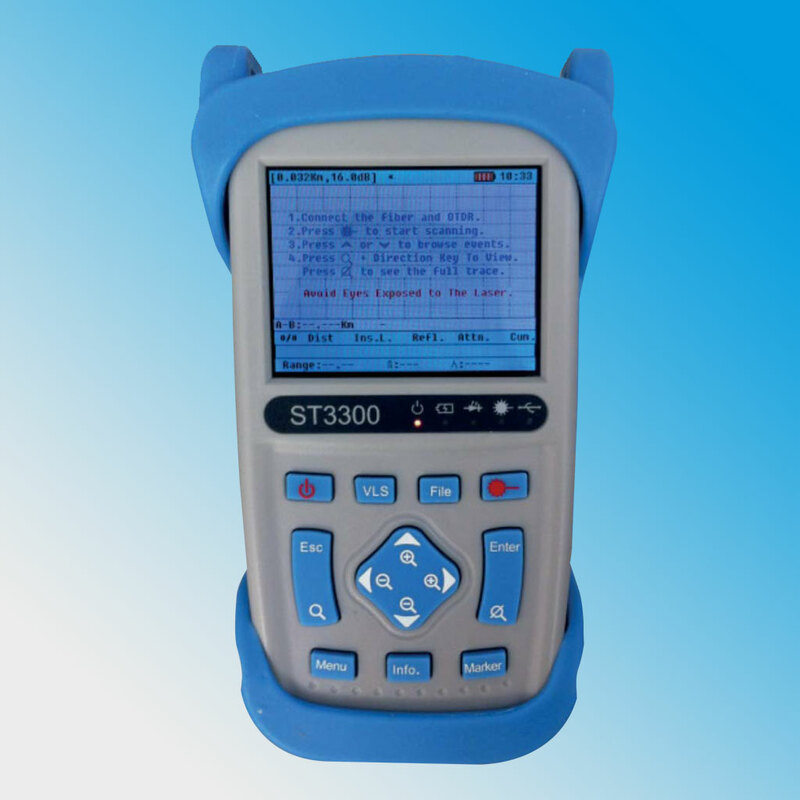 ST3300 is a unique product mainly designed for construction and maintenance of telecommunication and CATV networks. ST3300 can be widely used in engineering construction, maintenance test and emergency repair of all fiber optics related systems. Comparing with a regular OTDR, ST3300 is more compact in size and easier for field use. ST3300 has handheld design, compact and lightweight, easy to carry. Event information through TFT color display and data storage capabilities. Through the USB interface, the test data can be uploaded to the PC, to facilitate the post-processing, archiving and printing. For more information about this product contact Tinsley. Note: Because of the technical nature of Submarine Cable Testing Equipment and the use and support requirements across international boundaries, the equipment can only be purchased direct from the manufacturer: - Tinsley Precision Instruments in the UK and not through international agents. 2)Conditions for dead zone measurement: reflection strength beleow-45dB, Event Dead Zone with 10ns pulses width measurement, Attention Dead Zone 50ns pulse width measurement. 3)Do not include due to refraction caused by the uncertainty. 4)Stable source and CuteOTDR sharing the same light port and Cute OTDR work wavelength consistent.